Pest control is a very important factor for the success of a restaurant. Apart from making sure that your chefs are maintaining good quality of food and that your waiters and waitresses are serving all customers properly, you also have to call in professional restaurant pest control in Perth to prevent pest infestation. Believe it or not, there are restaurant owners who do not take any action until some serious damage is done to their business by pests. Do not follow their footsteps. It could be a fatal mistake. It can put your business at risk and may even lead to lawsuits, revenue loss and a tainted reputation. You can set traps to catch pests but remember that traps are not the only solution. Plus, the downside of using traps is that after sometime, the creature inside will start to rot and give out a foul smell, which your customers and staff will definitely not like. So, you will have to be on your toes all the time to find out whether there is rat rotting in one of your traps. Why take so much trouble when you can easily opt for professional restaurant pest control in Perth. Hiring professionals is easy. All you have to do is pick up the phone and dial their number. Even if you won’t be able to be in your restaurant premises when we get there, we will still carry out the job informing you every step of the way. We are very unobtrusive, so you don’t have to worry about your customers being disturbed when we carry out the job. 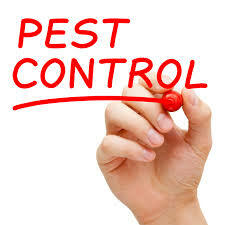 But for obvious reasons, we suggest that you opt for our restaurant pest control in Perth services after hours. Following these ideas will help keep your business smoothly going.